Noble is a visiting professor at the University of Southern California (USC) Annenberg School of Communication and is on the faculty of both the Department of Information Studies in the Graduate School of Education and Information Studies and the Department of African American Studies at UCLA. She is the author of a best-selling book on racist and sexist algorithmic bias in commercial search engines, Algorithms of Oppression: How Search Engines Reinforce Racism (NYU Press). She encouraged students in attendance to make the most of their educational opportunities and to use education as a vessel for continued success. 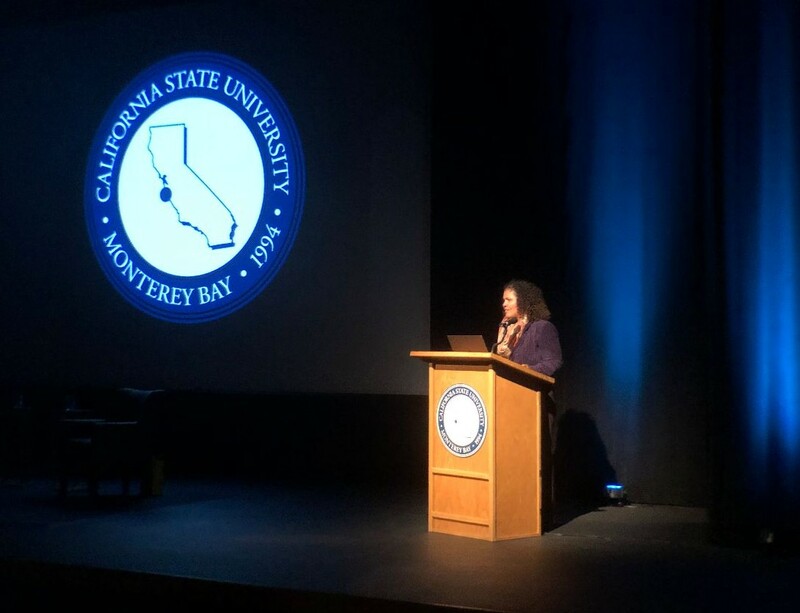 You never know where you’re going to end up when you finish your schooling, so I would just say for the undergraduate students here today that don’t underestimate that graduating from CSU Monterey Bay might take you all over the world." The President’s Speaker Series, open to the public and free to attend, is in keeping with CSUMB’s role as a community resource, providing forums for provocative discussions that can impact thought and action on issues important to our community.